Feeling lazy? Make challah in a bag. We’ve made some updates to the preparation. The recipe is now officially foolproof. 1. 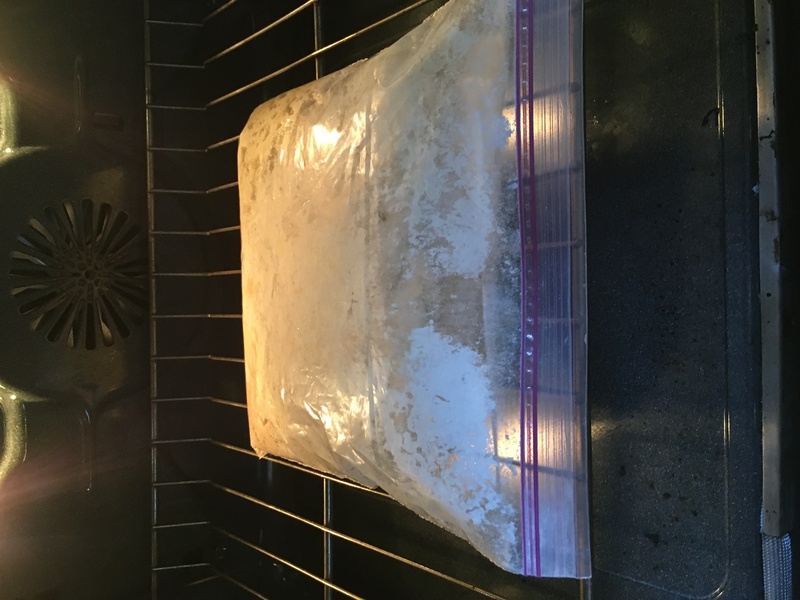 In a 1 gallon plastic ziplock bag, add the yeast, water, sugar, salt, oil and 3 cups of flour. 2. Give the bag a little shake. Don’t work too hard- remember, it’s a lazy challah! 3. Place the bag in a bowl of warm water for 30 mins. 4. Remove from bowl, shake, release air from bag, and place on the table for 1 hour. Flip bag every 20 mins. The dough should be very wet. It will start to bubble and self-knead. WHOA. 5. After the 1 hour, add 1/4 cup flour and give the bag another shake. This makes the dough not stick to the bag. 6. Leave the bag for 1 hour and 30 mins to rise. It should still be a wet dough. If it’s not rising, flip it over and knock it down. If the dough is wet, the recipe will turn out amazing. 7. Preheat oven to 300F/150C. 8. 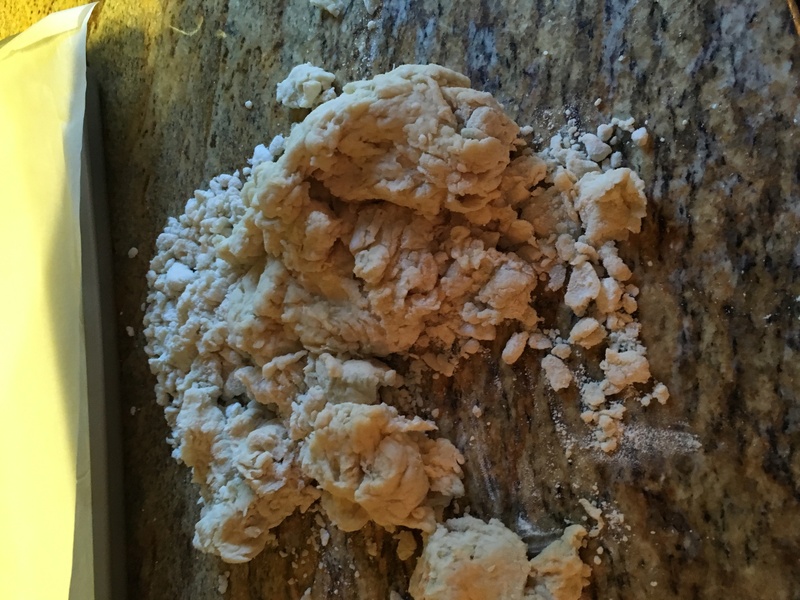 On a well-floured surface, separate the dough and stretch out 3 strands. Braid. 9. Baste with egg and sprinkle sesame seeds (optional for vegan challah, substitute olive oil). Leave to rise for 15 mins before it goes in the oven. 10. Bake on a non stick tray for 40 mins or until golden on top. Brilliant! I’m going to try this. I just baked my loaf. It smells and tastes great. How is this challah? There are no eggs IN the bread! Challah, EGG bread. The recipe says “1/3 canola oil” ……. Is that 1/3 cup? LOL Finally watched the video ….. and I got the answer! amounts were incorrect. See post by Marsha Everett. It’s teaspoons…not tablespoons of yeast, salt and sugar. I don’t think they are incorrect. You are using 3 1/4 cups of flour and the first rise is just 30 minutes. It takes plenty of yeast to to this. Also, 1/2 tablespoon of salt is just 1 1/2 tsp. I use in general 1/2 tsp to a cup of flour for breads. This is considered a sweeter bread than usual so 3 tablespoons of sugar to 3 cups of flour is not too much! Yes, but then you add 1/4 cup. I was referencing the amount of flour to the other ingredients. I went by the measurements in the recipe and it came out great! I see now.. thank you. I made the challah and it is sweet bread and didn’t rise very much. And it seems like it is oil heavy.What did I do worng??? I actually let mine rise longer. About another hour. ( Because my yeast packets were a little older. )And it was fine. I used a canola oil instead of veg. Oil. not sure if that makes a difference. A longer rise definitely helps. You can even leave it in the fridge overnight, which will give the challah even more flavor! 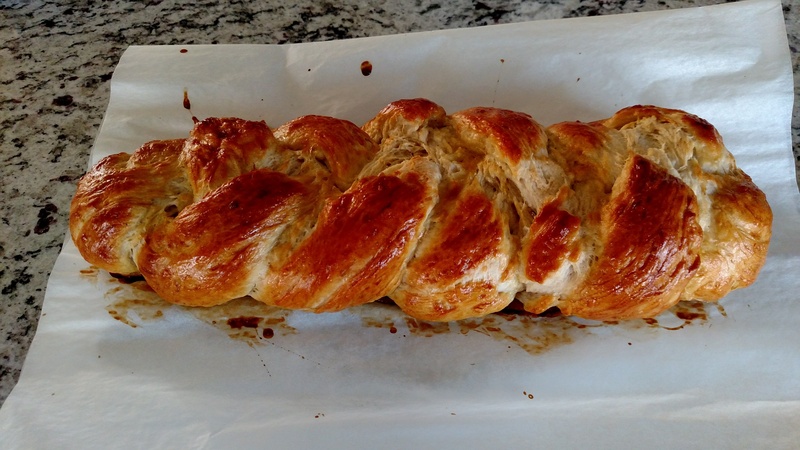 The point of this recipe though was to make a quick, clean and easy challah. @Roberta Whitecrow:disqus The amounts are actually correct, but if you want to experiment with lower amounts of yeast, sugar and salt then go for it! The MOST IMPORTANT thing is that the dough is very, very wet and sticky. If it is, it will come out beautifully every time. How can it be Challah with no egg in it? I brushed mine with one whole egg that I stirred with a fork. The recipe states to you olive oil in place of the egg. The recipe reads to use olive oil in place of the egg. few times I’ve been around this track, but it’s not just gonna happen like that. cuz i aint no challah bag girl…. You don’t use any eggs in the dough? no, just bananas. b a n a n a s.
This sh is bananas, B A N A N A S! Yes just took out of oven and house smells great. see post above. BEWARE. The directions have any incorrect size. TBSP means TABLESPOON. This is wrong size. It should be TSP which means TEASPOON. You will have a disaster if you use a tablespoon size. I’ve been baking bread for years and this is a great tip using bag but not the wrong amounts of yeast, salt and sugar. Will 1tsp be enough? Even if you buy yeast in the packets it’s 2 1/4 tsp. keep the opened packet of unused yeast in back of frig. It will keep for quite a while back there. Usually 1 month. Thank you for sharing the correct measurements. I’m going to try this. Great, I just mixed this up using a Tablespoon. And it will probably be great! Those look like the right amounts compared to my recipe, which seems to make a slightly bigger loaf. This says 1 tbsp of yeast, and mine says 1-1/2 tbsp (or 3 for two loaves). It has 1/2 tbsp of salt and mine has the same amount. actually Tbsp means table spoon, with the sharing of cultures now a days, tbsp can also mean teaspoon as it is lower case. I have I have had to adjust many recipes over a 30 year culinary career because of this. That is why my first attempt at any recipe not created by me is a trial and I keep enough resources on hand in case I have to make it a second time. I do not see how. A teaspoon does not have a “b” in it. How in the world could it be construed as a teaspoon? I can see “T” or “tsp.” being confusing and have questioned those before. Ummm hello I was wondering the same thing. I used 1 Teaspoon slightly rounded of Red Star Active Yeast, 1/2 (half) teaspoon salt, and 3 Teaspoons rounded of sugar, ( you can substitute honey), I worked out great. Most important thing is do not set it in a drafty area can put inside of Microwave (off) if running Airconditioner as I have to do in Arizona. I also allowed 15 minutes to rise after braiding. I added Blue Poppy seeds to the Sesame seeds. Everything else was same as receipe above. As a baker, I am surprised they didnt specify to let it rise a second time after braiding. It wasn’t in the video, but in the written instructions. 8. Baste with egg and sprinkle sesame seeds (optional for vegan challah, substitute olive oil). Leave to rise for 15 mins (optional but recommended). I thought the measurement of yeast was 1 tablespoon? Some people are saying to alter the amount of sugar, salt and yeast. Don’t. This really isn’t too much for a quick rise bread as they are doing here and also for the amount of flour! Give it a try first as is. You can also use eggs by adding one or two to a measuring cup and then filling to the 1 cup mark with water. I can’t imagine challah w/o the yellow color from eggs, so I added one egg this way. Waiting to see how it turns out. Thanks for the tip! That is just braided bread. I assemble bread kits for camping. All of the dry in a freezer weight zipper bag add the wet and mix. Yes but many people don’t do camping and haven’t experienced bread making this way. Is there a real point to what your comment was saying? First attempt was dismal. 2nd attempt much better, BUT, just how well do you have to “work” the bag to incorporate the flour? I worked the bag a lot on attempt #2, but still wound up with a few lumps of flour that never mixed in. You really don’t need to work it. If the dough is very wet, there shouldn’t be any flour lumps. That’s what I thought based on watching the video. Since the video is at warp speed, it was hard to be sure. Even the 1/4c flour didn’t mix in at all on my 2nd attempt. Parts of the dough were soft and gooey, while other sections had flour lumps. Who knows? I have little-to-no experience baking bread so I’ll chalk it up to that! At least attempt #2 was edible because I kneaded it to work in all the flour. The low baking temperature allows the dough to rise more in the oven to save time! Thank you for your prompt reply. I plan on making it this weekend! Watched video, read instructions above… BIG MISTAKE! The video DOES NOT SHOW the 1 1/2 hour second rise that the instructions show! SOMEONE got in a BIG hurry to make the video! REDO ! I made this today, exactly as the directions stated. It came out soft like Challah, obviously didn’t have the yellow color due to no eggs but it came out perfect. I didn’t change a thing from the recipe. OMG I made bread!!!! That’s what I said my Fiancé when the bread was done. This was a super easy recipe, love it!!! Followed instructions and this was my result ? there are three rising times for this dough, for all those complaining about only one. The first is the 30 minute rise in the bowl of water. The second is an hour. The 3rd is an hour and a half. Mine is lumpy can someone help me please ! Janine, if your dough is very wet and sticky (as this challah dough should be), then the lumps will take care of themselves if you allow it to rise. If the dough is on the drier side, add a tablespoon of water at a time, until the dough is wet and sticky, then give it a mush. Lastly, give it some more time to rise. It should take care of itself. found when mixing in bag it did not mix well. Not sure if you will see this question… I’m making this challah now and I was following the directions and then watched the video. I was at the flip every 20 mins for an hour part and then saw in the video you added the extra 1/4c flour at that point. So I quickly did. Then I retread directions and saw there not to add the extra flour until after the first hour. I was starting to see the bubbling but when I added the flour it has not been doing that ☹️ Sure hope it will still turn out ok!! I’m curious…. how did it turn out? I’m making it now. omg i made it as stated and Mmmmmmmmmmmm I CANNOT believe how good and sweet, moist it is.. golden brown.. i didnt make any changes at all.. after braiding i let it sit on top of the stove for 20 mins before putting into the oven.. this is definietly a keeper..
Just baked mine for Shabbat tomorrow. I guess I made them too long and thin. Should I have made them shorter and fatter? Or put them in a baking pan with sides so it doesn’t spread out? can I use olive oil in place of canola oil? Yep, it adds a nice different flavor. I’ve made this twice and my family is IN LOVE!!!! Thank you so much for sharing this! Is there a way to make it up to a certain point the night before, then store it in the refrigerator overnight, then pick up again in the morning to finish? I don’t want to mess it up…any tips would be greatly appreciated! If you put it in the fridge after the first rise, or at some point during or after the second rise, it will continue to rise overnight. It will even develop some extra flavor- we tested it and it was a hit. hi,started late in the day,and saw that you said you could put in refrigerator and 1st after 2nd rise,it didn’t rise that much but I did put in there..it would have been very late in evening before I finished.and I also put extra flour in after 1st rise. it’s not rising very quickly,but I see bubbles and been flipping it. I’m using the lower amounts of the yeast, sugar and salt. I also did 2 eggs, beat them and added enough water to make the cup then added the oil on top of that. Mixed the flour with the salt, yeast and sugar and added the flour. I am on the long rise now and everything is going beautifully. You could see the air bubbles in the dough as I was turning the bread every 20 minutes. I am making this today using the teaspoon amounts. After the 3-20 minute turns you could see all the lovely air bubbles in the dough. I do not anticipate any issues with the dough not rising for the next 90 minutes, or after shaping. Rapid rise yeast or regular yeast?? Can I use gluten free flour for this recipe? It has xanthan gum in it. Wouldn’t recommend it, that xanthan gum flour is very sticky and needs a real knead. I’d use a mixer for best results. Thank you for the reply. If I use a gluten free flour without xanthan gum, do you think I can then try it? I’d still use a mixer or give it a good knead… Shabbat shalom! I doubt it will work. Gluten free flour doesn’t have the gluten necessary for the dough to rise and be springy. Best to try a regular gluten free recipe and then if it works, try converting it to a bag. I had the teens in my Boys and Girls Club program make this two days in a row! That’s how good it was, and how much fun for them. I just made this. I didn’t bake challah, since my 30+ year old kids were small. This was incredible easy, no machinery, no dirty dishes to clean up after, just toss the bag, when you are done. Amazing. I doubled the receipt, (in a bigger bag) and YES NO EGGS, only for the top. Came out perfect, delicious, light. I sprinkled it with pink Himalayan salt on the top besides the sesame seeds. I baked it in 350 oven. I will make it again and again. It was fun. You made all these Challah with the double recipe? howwww do you make those braided round ones? theyre beautiful! how do you make the pretty round one in the lower right? Okay – here’s my 1st effort. I got a very, VERY lumpy finished dough, but those lumps seem to be gone now that I’m biting into the bread. i bet this will make excellent french toast in a couple of days.. thanks. What kind of yeast? I started one and then wondered if I put enough yeast in and then started a second one (mad scientist here). Not rising as much as in the video. Made lots of bread in my time so not sure other than maybe I should use fast rising yeast. Feedback please. The video says to put the 1/4 cup of flour after the 30 mins and then stand for 1h the instructions says something else after the 30 min to leave it for one hour then add the flour then stand for an other 1h30…which one is the right steps? You should follow the written instructions. They have been updated for yummiest results! The dough should be smooth and “kneaded” after the second rise. If not, mush it around and let it rise more until it doesn’t have any lumps. Hi..I am very desapointed I tried for a second time the whole recipe and I tended up with lumps after adding 1h of rising. Will not try it again!!! Not sure what I did wrong followed the instruction to the letter! What did I do wrong may environment not warm enough didn’t raise enough. Hello Everyone, Going to give this recipe a try 🙂 I Love making homemade breads. This just says Yeast, what kind ?? Instant, Dry Active, etc. Tbsp vs Tsp = Tablespoon vs Teaspoon… Measurement in this country has always been a constant… The recipe itself is confusing and is clearly not step by step. There’s no egg in this recipe – Challah is a very egg-y bread. I made this and it was rather tasteless. Definitely not Challah imho and not worth making. I am making this now, though I’m wondering if I should have sifted the flour. We’ll see how it comes out. If I double the recipe, do I need to use two separate bags, or can I put it in one bag? I have made this about a dozen times and have gotten real good at it.Only change is I mix all ingredients in a bowl then put in bag. I found when mixing in bag it did not mix well. I like my Challah egg-y…Can egg be added to the recipe and still be done in the bag? Oh, ya. If you add 1 egg, and keep the recipe as-is, the dough might be too wet to braid. Maybe add a touch more flour. Let us know how it works out! I have a traditional recipe (not the above) for bread, and when I make challah with it, comes out beautifully, usually I get two loaves, can be sliced or each can be torn off as a roll. Anyone notice that all challah comes out as 12? Love it. I’ve got my first loaf in the oven right now, super easy, hope it tastes super! Does anyone know why this egg bread only has egg brushed on top? Laureen, I haven’t made this recipe, yet, but I’ve made a lot of breads. If you over work the dough during the mixing or kneading stages it will come out dense and hard. You only need to knead/mix most bread doughs until the dough is slightly sticky, smooth, and elastic. It won’t rubber band but it will stretch nicely before tearing. Also, follow closely the rise times, including the 15 minutes just before you put it in the oven, so that more air will be incorporated into the dough. Be careful adding a different ingredient (honey) w/o trying it out first. Yeast needs sugar to rise. Honey is much more complex than sugar, and it might not work. THIS IS THE WORST THING EVER DO NOT WASTE YOUR TIME!!!! Nearly gagging trying to eat it! We followed directions perfectly, and it is a total waste of good ingredients! IT’S DISGUSTING AND UPSETTING!! Regular yeast, or quick rise??? Can you use olive oil or butter in place of the canola oil? I’m not a fan of canola. So what conclusion did everyone come to? Is it tablespoon or teaspoon? We’ve tried this recipe two different times. Tablespoons, not teaspoons. 300 oven / 350 oven (and calibrated the oven too). Rise time as listed / Extra rise time. Both times it came out very, very dense. There’s something amiss for too many people to call this recipe foolproof. You’re right, Steve. So many mistakes in the video instructions (no mention of last two rise times), oven temp discrepancy, and there’s no way tbsp means tsp. I guess I’ll follow the gal who bakes so much and says the measurements should be tsp? I thought I was the only one who did it wrong. The first try came out dense and too salty. On the second try, I poured the dry ingredients first then added warm water to let the yeast soak and take in the sugar and ferment better. I waited a good 5 minutes before adding the oil. I mixed it thoroughly rather than just shake it. I placed the bag in a warm area and covered it with a towel to increase warmer temperatures to rise better. This came out much better, less dense. I think I’ll have to adjust the recipe one more notch: use only 1 teaspoon salt and maybe add an egg. It’s just not good challah without an egg. I tried this and the flavor was amazing, but the bread came out doughy not airy. Any advice? https://uploads.disquscdn.com/images/962f36eb6cf651038b16c82d9163f479f458d305d791680e89492d4144c38855.jpg Well, since I’m not actually Jewish I decided to make this today even though it’s Passover . I hope it isn’t full of holes as it took almost 3 hours to get it to rise. I wish I had seen the note about putting in the microwave if the house is cool. 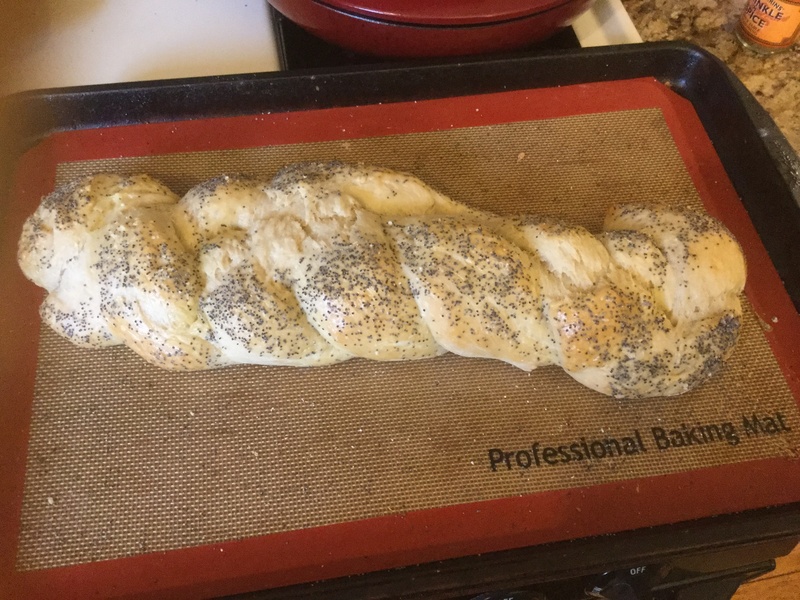 This is my first attempt at yeasted bread…. and , of course, I was out of sesame seeds so I used poppy and flaky salt, kind of like an everything bagel. I have seen this video on Facebook and just now saw the written recipe. As its my first time ever trying to make bread, i followed literally the video and didnt heat the water when mixed with yeast, wondering if it will still work or if i ruined the recipe. Im on the “rise for 1h part”. Maybe i have to start over? Thank you for a really great blog. It was actually very helpful. I’m so happy I discovered this. unfortunately this didn’t work for me at all – not sure if it is wrong measurements (used tablespoons not teaspoons) but dough was not wet and didn’t bubble self knead or rise – think ill just go back to making it the old fashioned way 🙁 was looking forward to this working as a quick mess-free option on a friday afternoon with the kids! The recipe says to release the air when you remove the bag from the water but the video shows to release the air after 1 hr of rising.